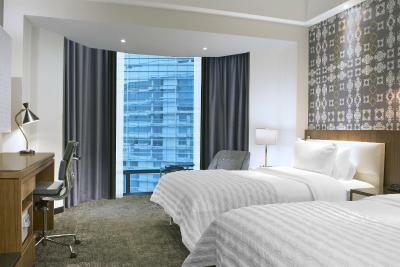 Lock in a great price for Le Meridien Kuala Lumpur – rated 9.1 by recent guests! Jason the staff from sabah Malaysian . Kind , polite and very helpful. Excellent staff Keep going to do your best . Great location near the central station, ideal for flight to and from KLIA/KLIA2. The concierge was very helpful in explaining how to get to the national museum. The room we had was sizeable and bed was very very much comfortable. Housekeeping was exceptional, making sure that the room was clean with clean towels and well stocked toiletries. Special thanks to Jason or Jayson if we spelled his name correctly. He was helpful and very kind to give us an extra bag for safety purposes. Overall, this hotel exceeded our expectations and we can’t wait to be back again if in KL! I love their room,great ambience and your stay will be better if you are given the right room with the pool and city view 👍!! Excellent staff services and best buffet breakfast ever. Swimming pool is awesome ! Highly recommended. Club Floor facilities very good, breakfast buffet wonderful. Bed super comfy, pool was fantastic but the staff went above and beyond. I am a very light sleeper and very sensitive to noise. I requested a quiet room, high floor, far from stairs and elevators when I booked through booking.com. I immediately received a reply saying that the staff would do "their level best", and I was very impressed when I arrived and my request had been taken into account and the staff had gone to the effort of finding me a quiet room. I have stayed at many 5 star hotels that have not bothered to take these same steps, so I was very impressed by the level of service. The location is great just couple of minutes away from KLCC. The room was very clean and comfort. Modern hotel connected to KL Sentral - convenient for KL Ekspres to KLIA and other transport. I like a room with refreshments such as coffee, tea or snacks. 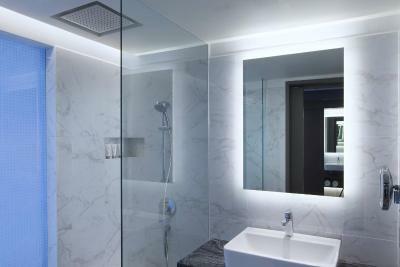 Le Meridien Kuala Lumpur This rating is a reflection of how the property compares to the industry standard when it comes to price, facilities and services available. It's based on a self-evaluation by the property. Use this rating to help choose your stay! 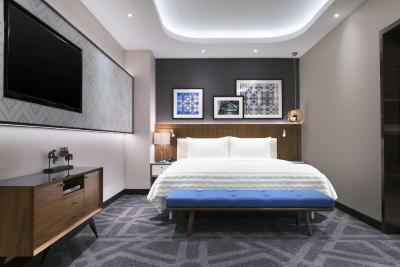 Le Méridien Kuala Lumpur Hotel offers accommodations just a 10-minute drive from Kuala Lumpur’s Golden Triangle city center. It features an outdoor swimming pool and guests can enjoy meals from 4 in-house dining options. Free WiFi is available throughout the property. It is 450 feet to KL Sentral Station. 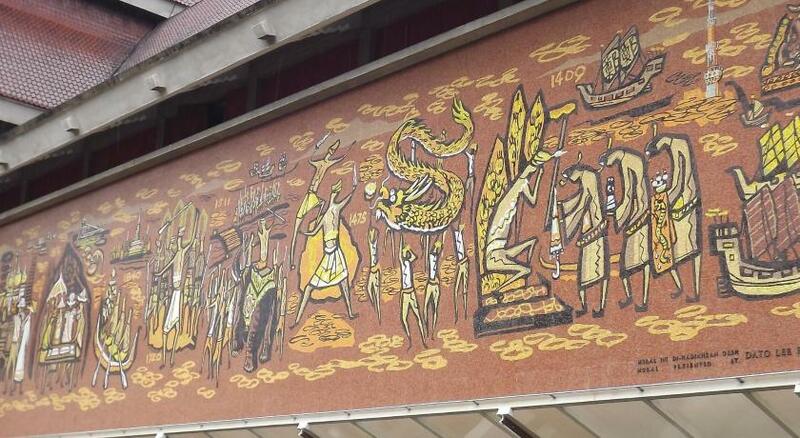 Le Méridien Kuala Lumpur Hotel is 3.3 mi from Mid Valley Shopping Center, while Pavilion Shopping Mall and the Malaysia Handicraft Center are 4.3 mi away. Kuala Lumpur International Airport is 47 mi from the property. Offering panoramic views of the city and lake garden, all rooms are equipped with a satellite TV, safe, workstation and bathroom. Large windows offer plenty of natural lighting. The hotel offers a 24-hour front desk and 24-hour concierge service. Luggage storage, currency exchange and laundry services are all conveniently available. Venetian cuisine is served at the hotel's signature restaurant, Favola. Prime is the award-winning first international Steak Restaurant in Malaysia serving premium meat cuts with an extensive selection of wines. Asian cuisine can be ordered from Latest Recipe. The stylish Gastro @ Sentral bar offers comfort food. When would you like to stay at Le Meridien Kuala Lumpur? 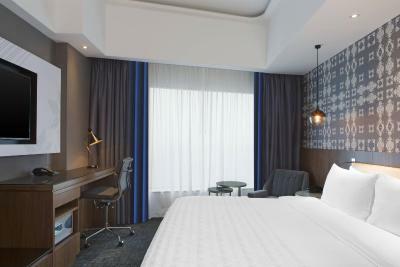 This twin room has air conditioning and executive lounge access. 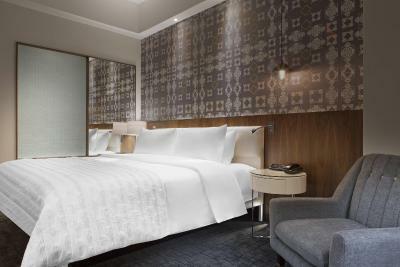 Strategically located at the heart of Kuala Lumpur Sentral, the hotel is easily accessible through a network of integrated railway connections. Travelling to the Kuala Lumpur International Airport (KLIA) and KLIA 2, is just a 28 and 33-minutes ride respectively, via the KLIA Express. Close to the bustling street of Little India at Brickfields and the Perdana Botanical Gardens, look forward to enriching choices of places to visit. Take a 5 minute stroll to Nu Sentral Mall for that last-minute retail therapy before commuting to the airport. Discover the enriching comfort of experiencing a newly renovated Le Méridien Club Room, and indulge in the many Club Room benefits at the refurbished Le Méridien Club Lounge, located on Level 33. Le Méridien Kuala Lumpur invites you to embark on a journey of discovery – be it cuisine, culture, or coordinates. House Rules Le Meridien Kuala Lumpur takes special requests – add in the next step! Le Meridien Kuala Lumpur accepts these cards and reserves the right to temporarily hold an amount prior to arrival. Please inform Le Meridien Kuala Lumpur of your expected arrival time in advance. You can use the Special Requests box when booking, or contact the property directly using the contact details in your confirmation. Good Location, Easy to town and Clean Hotel. their bed and pillow extra comfy ! Everything was good. To make things that little bit special, you can delight your customers. I know I didn't take breakfast because I don't eat breakfast. As such, I have zero knowledge of how your approach to F&B. This is something to consider - even if it's some token item put in the room or a voucher. Something that would encourage me to try. The connecting door was jammed and it took a while to be fixed and the phone was not working properly. Excellent breakfast spread! Staff were very friendly and the hotel is great for those travelling with kids. The pool is shared with Hilton KL but it was big enough, with slide and children pool. Was there for quick getaway for hubby's birthday. Requested for a complimentary birthday cake. Was expecting a slice of cake but they actually did a surprise set up in the room, a complete package with balloons, hand-written birthday card, cookies and birthday cupcake. The breakfast was exceptional, if they didnt have it on display, they would get it. We have not been to a well run hotel like this in a very long time. We felt very well looked after, from the pool staff who were so helpful and friendly to our superb Concierge Jason who just couldnt do enough. To our cleaner who everyday checked if we needed anything and was we happy. We will 100% revisit. There are not enough superlatives to rate this hotel. The venue is comfortable,near KL sentral and I liked ,that 's great.